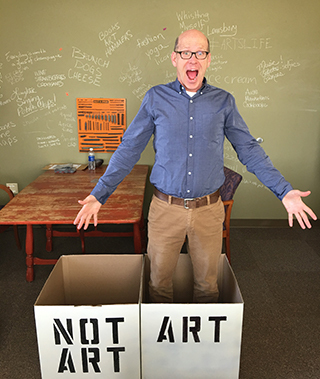 Dedicated to building the future of the arts, Martin Wollesen is a fearless arts innovator. 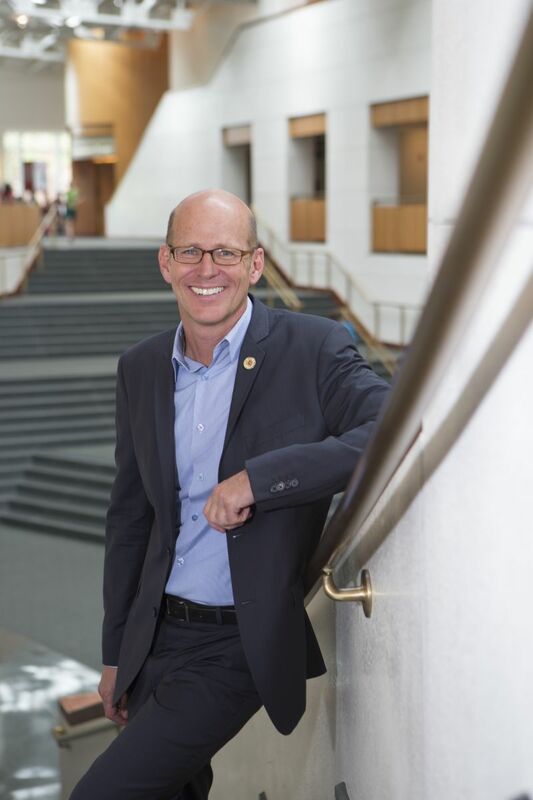 As the Executive Director of The Clarice Smith Performing Arts Center, Wollesen provides creative and strategic leadership for the performing arts through robust campus and community partnerships. Since his arrival at The Clarice in September 2013, Wollesen has spearheaded numerous campus and community initiatives. He inaugurated the NextNOW Fest, an annual arts festival for new and returning UMD students. In collaboration with students and alumni, this multi-day, multi-arts exploration features interactive and participatory arts experiences with local and national artists and brings artists and audiences together in fun, surprising ways. Wollesen’s Satellite Arts Partnerships create new programs in collaboration with organizations in The Clarice’s creative radius that provide opportunities for audiences and artists to create and share together. One Satellite Arts Partnership, NextLOOK, is a partnership with Joe’s Movement Emporium in Mount Rainer, MD, in which regionally-based artists are given time, space and dollars to develop new work, in addition to having opportunities to deepen audience interaction and involvement through previews, workshops and feedback sessions. As part of Wollesen’s vision, the National Orchestral Institute and Festival (NOI+F), now in its 29th year, has expanded its community engagement efforts and continues to re-imagine the orchestral experience for both artists and audience, thereby providing a national model for the presentation and execution of the orchestra of the future. In the Fall of 2016, The Clarice along with MilkBoy Philly will launch MilkBoy ArtHouse under Martin Wollesen’s leadership. The first creative space of its kind, MilkBoy+ArtHouse is a community-minded performing arts venue, restaurant and bar. Located along College Park’s Baltimore Avenue, it will bring together the UMD community of students, faculty and staff and neighborhood residents for craft beers and cocktails, made-from-scratch menu items and exciting arts experiences. Prior to The Clarice, Wollesen served as Director of the University Events Office and Artistic Director of ArtPower! at UC San Diego, the university’s premiere multi-presenting arts program in dance, music, spoken word and film. There he created and implemented the Innovator-in-Residence Program that explores the intersections between the sciences and the arts; The Loft, a performance lounge and wine bar, the only venue of its kind on a college campus; Wonderland, an international festival of contemporary dance; and the Place Matters Project, the most comprehensive, interdisciplinary arts initiative in the university's history. Wollesen has also held positions as director of education and associate director of programming for Stanford Lively Arts at Stanford University where he created Encounter: Merce, an initiative where students from across campus use Merce Cunningham’s art as a baseline for collaborative study and creative expression. Prior to that, he was director of programming for University of California, Santa Cruz Arts & Lectures performing arts program. He holds a B.A. from the University of California at Santa Cruz. Wollesen has served on numerous local, regional, state-wide and national arts service organizations. Currently, he serves on the board of directors for the Association of Performing Arts Presenters. In 2012, he was awarded the Western Arts Alliance Vanguard Award for innovation in the arts for The Loft at UCSD. In 2011 he was named as San Diego Magazine’s 50 People to Watch. Wollesen has lived in Singapore, Manila, Cairo and Lisbon. He has slept on top of the Pyramids, been attacked by chickens at an avant-garde dance performance in Japan and painted children’s toys on a kibbutz in Israel. TEDx Talk that addresses generational differences in experiencing the performing arts.